We recently had the pleasure of creating braille labels for the new Ramble Tag products. 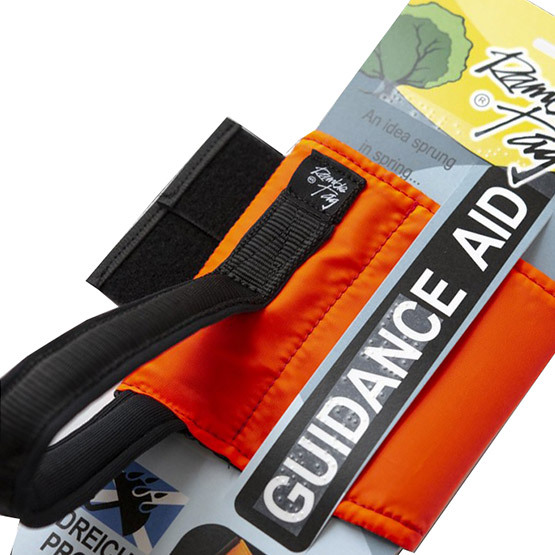 The Ramble Tag was invented by Laura & Tom - it is a lightweight harness to be worn on the upper arm by a guide to assist a person with visual impairment when walking. Laura wanted a high-quality braille label for the packaging, so she asked Pia for some help. We suggested a hard-wearing, transparent braille label, which read 'Worn by a guide for assisted walking'. We had the pleasure of using Pia, they were very helpful and friendly with high quality printing. I've learned a lot from them, from knowing nothing. Thank you!